This page provides a list of recent activities/engagements I have has made in Spelthorne. 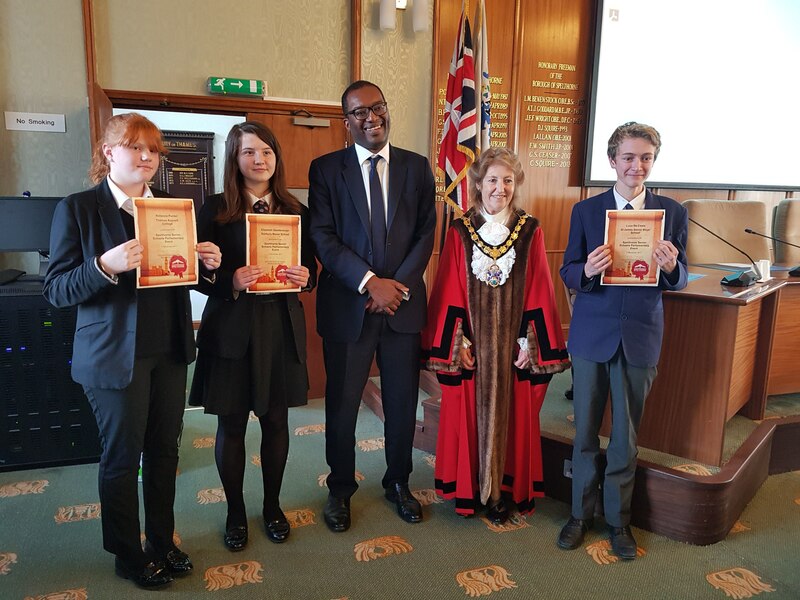 I took the Speaker's chair for a lively Commons-style debate by 2 local schools, Thomas Knyvett, Sunbury Manor and St James Senior boys' schools that took place in the Spelthorne Council Chamber during UK Parliament week. I attended the Most Courteous Town award in Shepperton. 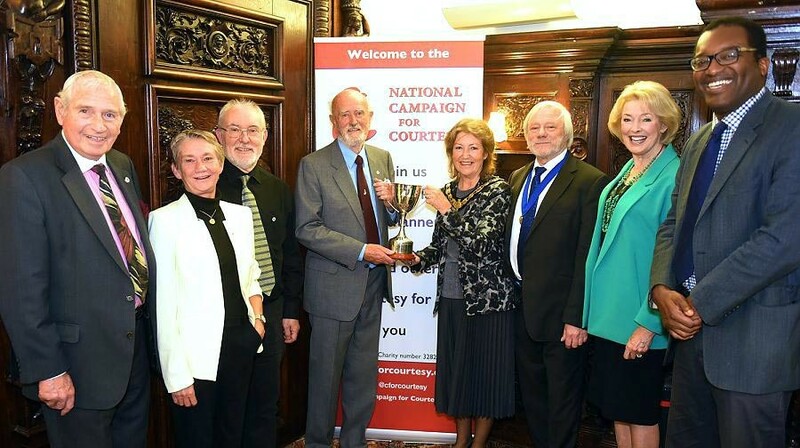 Officials from the National Campaign for Courtesy have announced Shepperton as ‘Top Town for 2017’ after scouring the country for towns which demonstrate the charity’s commitment to good manners, respect for others, courtesy to all and the rejection of anti-social behaviour. I then visited Thameside Brewery in Staines to tour their micro Brewery and see their new Staines Town Centre premises which had recently opened. I sampled the brewery’s award winning beers and discussed the idea of a Staines Beer Festival which is now being planned to take place in summer 2018. I visited Bronzefield Prison in Ashford with the Rt Hon David Lidington CBP MP, the Secretary of State for Justice, for a tour of the prison and to meet the staff. 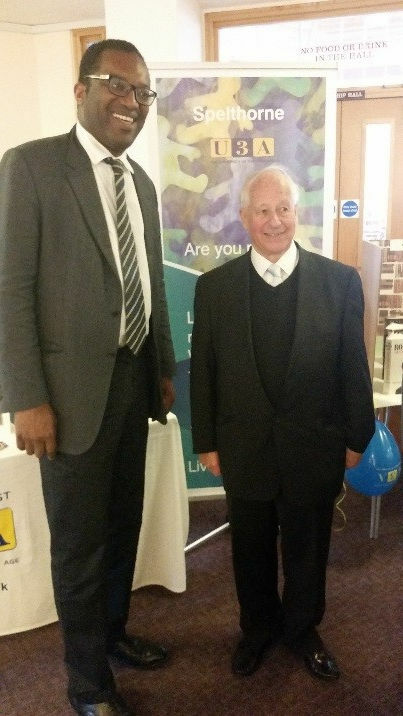 I then met the new Chief Executive of Spelthorne Borough Council Daniel Mouawad to discuss current Council issues. During the afternoon I held my regular constituents “ Surgery” where I met local residents. At St James School in Ashford I gave a presentation during the school assembly about life as an MP. I then took questions from the students. 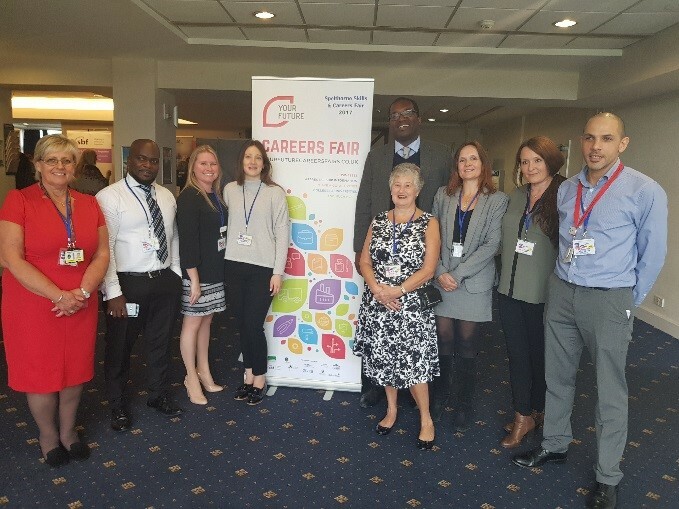 I visited attended the well attended Spelthorne Skills & Careers Fair at Kempton Park where stall holders were representing sixty-five local businesses and skills providers. A meeting was held at St Peters Hospital to discuss the imminent closure of the Blanche Herriott Unit at St Peters Hospital. This unit provides sexual health services to the local community including teenage sexual health advice, HIV care. I have been campaigning against the closure with local residents. 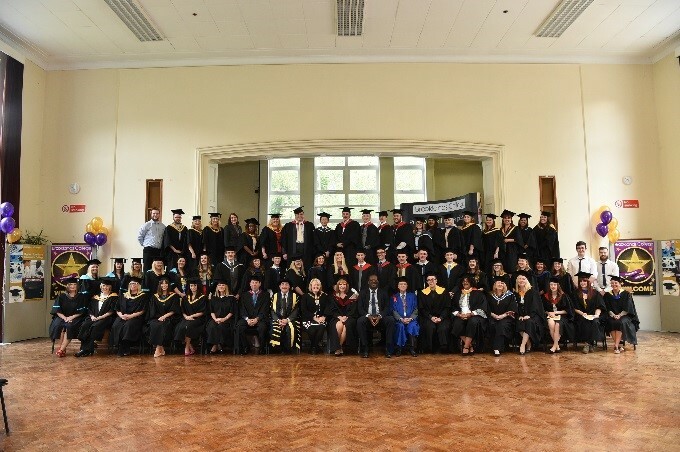 Later at Brooklands College Graduation Ceremony I addressed the students & parents and presented graduation certificates. I met with the Spelthorne in Zone 6 campaign team do discuss their progress with their campaign to bring Spelthorne into Zone 6. This would reduce travel costs for local residents and people who work in the borough and allow Oyster cards to be used at our stations. I have been supporting this campaign for the past couple of years and am impressed with the enthusiasm and passion in which the team are pursuing this fantastic cause! I also visited local company Dnata based in Stanwell. Dnata employ around 2000 at their Heathrow operation and are one of the major employers in our borough. I was given a tour of the Dnata City operation and discussed local issues faced by the company. I met with Steven Harvey, Chairman of Staines upon Thames Business Improvement District (BID) and owner of Oasis Estate Agents. 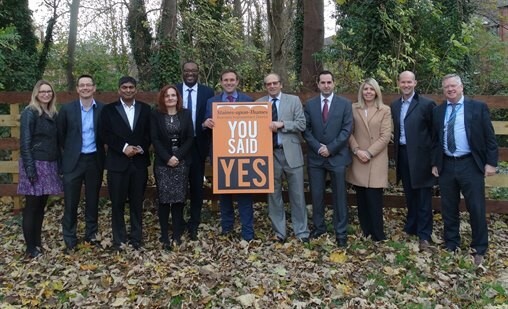 They discussed Staines BID and the plans they have for their first year. I held the regular constituents “Surgery” – meeting several local residents to discuss and address their issues and concerns. Later I hosted an event at the Mercure Thames Lodge for the Conservative Association members to thank them for their support during was a hard fought election campaign. 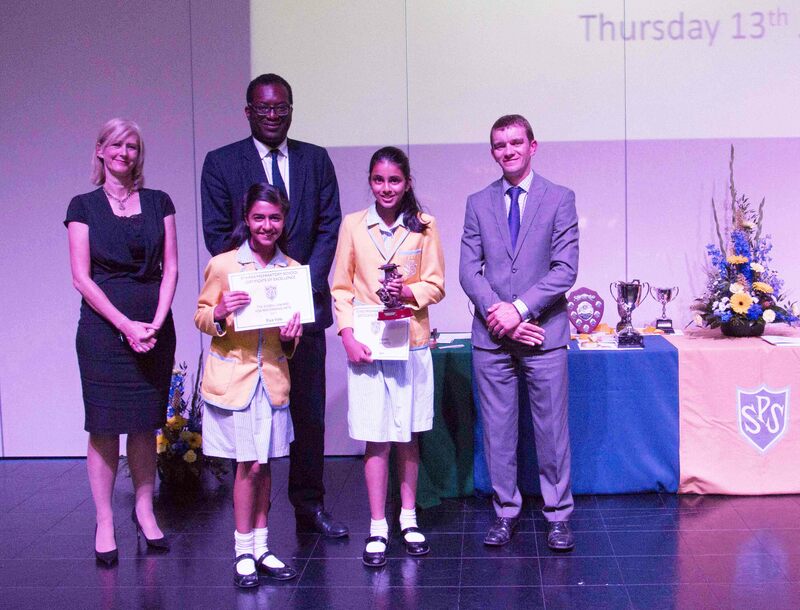 I was invited to be guest speaker at Staines Prep School year six leavers evening. I gave an address to the students & parents and presented student awards. I met Mike Ramlakan at Timeless IT in Ashford to discuss the company’s plans for the future and challenges the company faces. 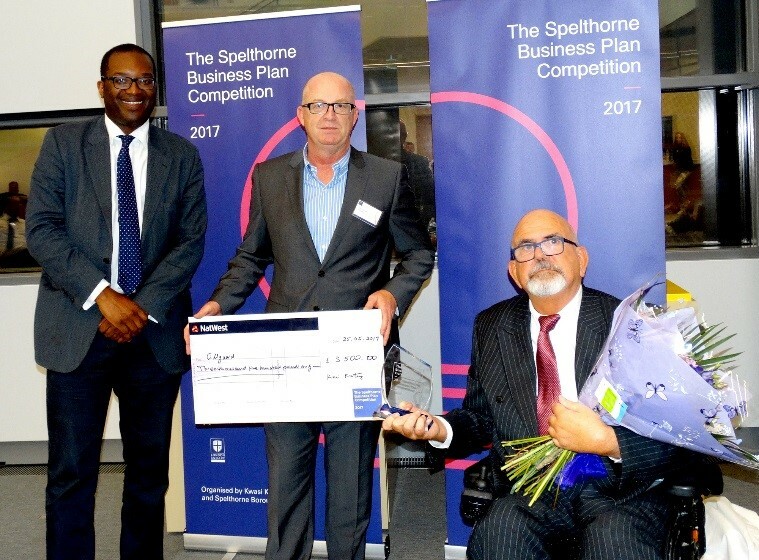 Mike is also the Chairman of the Spelthorne Business Forum (SBF). We discussed the SBF and the work it is doing to support local businesses. And then on to visit Breakspear Pharmacy in Ashford High Street. 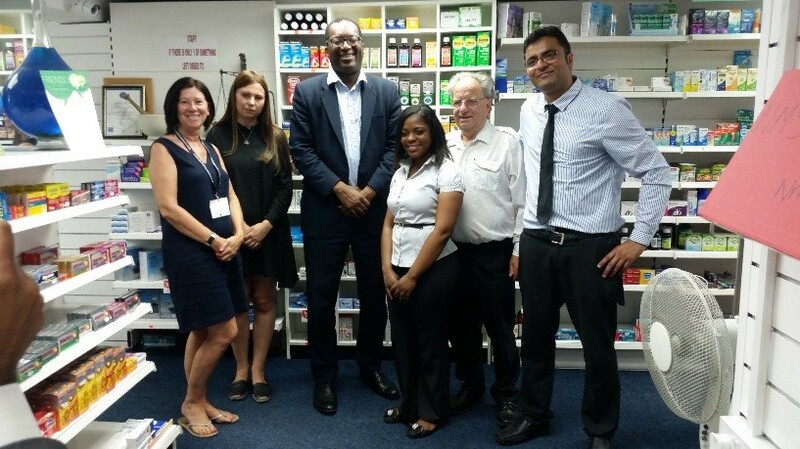 I met the team and some customers and discussed the challenges that they face by small independent pharmacies. Followed by the Red Lion in Shepperton where I met local entrepreneur Nathan Berry who owns a company called Aromair. Nathan has received a large Angel investment and wanted to discuss the future market after Brexit and how that may affect his business. Finally I met Roberto Tambini, Chief Exec of Spelthorne Borough Council to hear an update on the current situation in Spelthorne. 18th I attended the Mayors inauguration. I spent a lovely afternoon at the University of The Third Age open day at the Salvation Army hall in Ashford. I spoke to many of the members who were on stalls to highlight the many activities they are involved in. 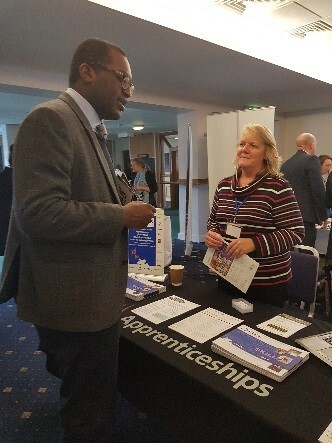 I visited the Heathrow Employment & Skills Academy who are dedicated to creating skills and employment opportunities for local people. I met some of the learners who are studying there and live in Spelthorne. I visited one of our new companies in the borough. 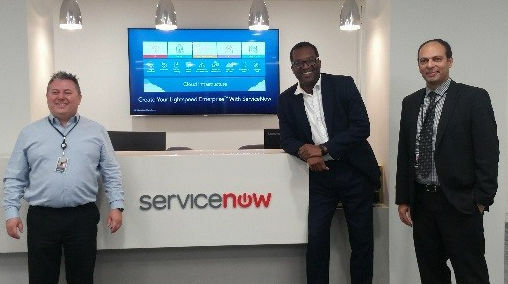 ServiceNow have moved into 1 Bridge Street in Staines (formerly the Courage Brewery site). The building has had a fantastic refurbishment and ServiceNow have quickly established themselves in the business community employing over 150 people. I also visited IAG at Heathrow who are one of the sponsors of The Spelthorne Business Plan Competition. I am extremely grateful to all the sponsors who make the event possible each year. I visited Sunbury Health Centre to meet the management team and discuss their ongoing issues they are having with their building and the inflated maintenance fees being imposed on them. I have been actively involved in helping them find a resolution with NHS Property Services and will continue to support them. 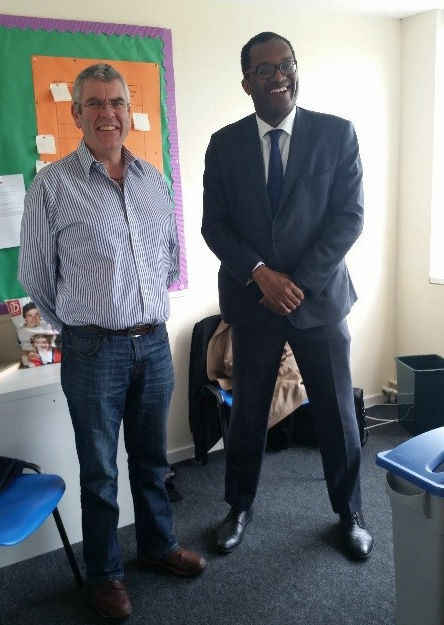 I visited the Fairways Homeless Shelter in Staines. This project runs throughout the winter months every year to give homeless people a safe and warm place to sleep. They also provide meals and clean clothing. This is an essential service to help local people often during the most difficult time of their life. I also visited Shepperton Health Centre. They are facing the same challenges as Sunbury Health Centre. I am very pleased to be able to support both these practices which provide essential medical services to our community and will continue to work with them both to help find a resolution. I attended an Ashford North Residents Association meeting to hear from local Ashford and Stanwell residents. They discuss issues the community are facing and Councillors and members of Spelthorne Council attend to listen and assist where needed. I really enjoy the local community meetings and it gives me an opportunity to really understand the core issues my constituents are facing. I visited Romans Estate Agents in Staines Upon Thames. We discussed the new legislation for letting agents and how that will impact the market and help people struggling to afford rented accommodation. I also visited St Mary Church in Sunbury and enjoyed chatting with Rev Andrew Downes about the Sunbury parish and the work they are doing in Sunbury. My next meeting was at Barclays Bank in Staines Upon Thames to find out more about their initiatives as an employer, and a provider of services to individuals and businesses. Finally I held a surgery at my constituency office in Staines Upon Thames. 3rd June 2016 - I attended the Spelthorne funding fair at Knowle Green, which I initiated.